The 16 CGIAR Research Programs (CRPs) are developing strategies to integrate gender into research. 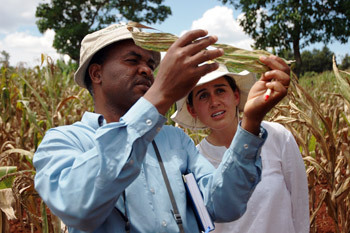 In September 2012, CIMMYT commissioned the Social Development and Gender Equity team of the Royal Tropical Institute in Amsterdam (KIT) to carry out a Gender Audit of the CGIAR Research Programs (CRPs) on WHEAT and MAIZE. 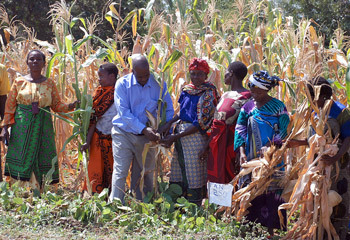 The objective of the assignment was “to provide a solid analytical and operational input to the process of strengthening institutional capacity to integrate gender as an analytical tool for enhance targeting and impact of research for development under MAIZE and WHEAT; and to devise realistic and practical Gender Action Plans for MAIZE and WHEAT”. Among the first CRPs to undertake a gender audit of their activities, WHEAT and MAIZE organized a workshop on implementing the gender audits on 10-11 December 2012, facilitated by gender specialists Chris Hunter and Katrine Danielsen, both from the Royal Tropical Institute (KIT). How is a gender audit conducted? A gender audit is an assessment by which organizations can identify how they are addressing gender within their research programs and organization. It usually comprises surveys and focus group discussions involving organizations, partners, and those who are ‘watching what the organization does’. 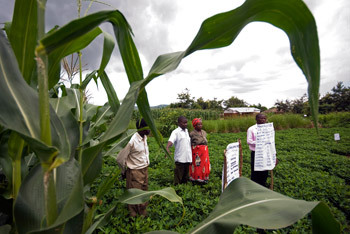 For MAIZE and WHEAT, it should provide a baseline for assessing progress on integrating gender into the CRPs and help prioritize activities. The Gender Audit is being implemented in a phased approach. The initial collaborative Design Phase ran from September to December 2012, the Implementation Phase runs from January to September 2013 and the Participatory Analysis Phase will take place in October 2013. The Gender Audit focuses on four key questions and eight CIMMYT projects. This will lead to a detailed gender action plan. How is gender currently addressed in projects across the CRPs, why, and how can this be strengthened? What is the CRP capacity for gender-aware research? How can this capacity be strengthened? How do key program functions affect integration of gender in the CRPs and which functions are most important to address in order to improve development results? How do epistemologies affect the way the CRPs address gender? Need to deepen the understanding and the commitment to the integration of gender across the CRPs.